You’ve inspected all your rigging equipment. You’ve checked the load weight and centre of gravity. You’ve checked the stamped SWL (you know what this is right?) on each piece of the rigging equipment and verified it is well within the load weight. You rig up the load and raise it a mere half an inch when an eye bolt shank shears off. So…. what happened? Thankfully, nobody was hurt and the load was secured with no other damage, but why did the eye bolt fail? 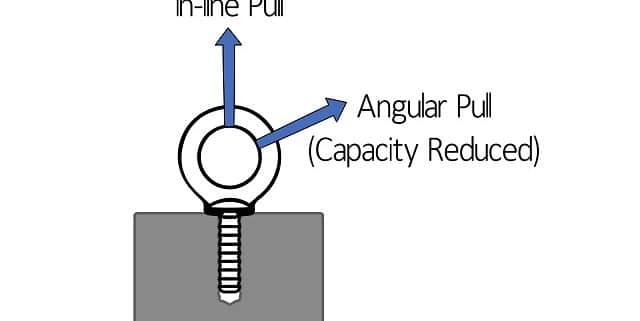 Eye bolts are essential devices used in many lifting operations; but eye bolt failures continue to cause incidents……especially when used for angular lifts. 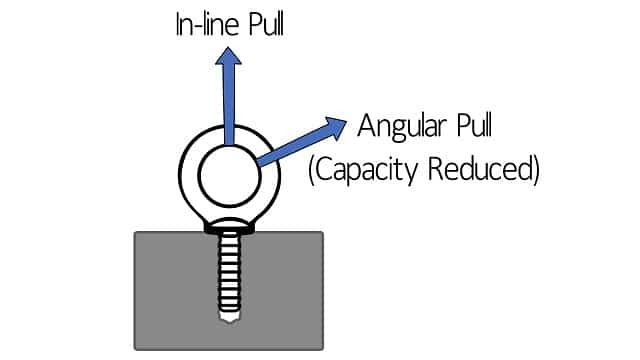 According to the American Society of Mechanical Engineers (ASME) an angular pull of 6 to 15 degrees from in-line can reduce the working load of an eyebolt to 55 percent. WAIT, WHAT….55%, that’s almost half! For a full report on an eye bolt incident recently posted, visit @Energysafetycan on Twitter. And, to gain a better understanding of using eye bolts safely in rigging operations, visit Alberta BC Safety’s Youtube channel or click the bio for a short video.